1) Preheat your oven to 180C/350F/Gas 4. 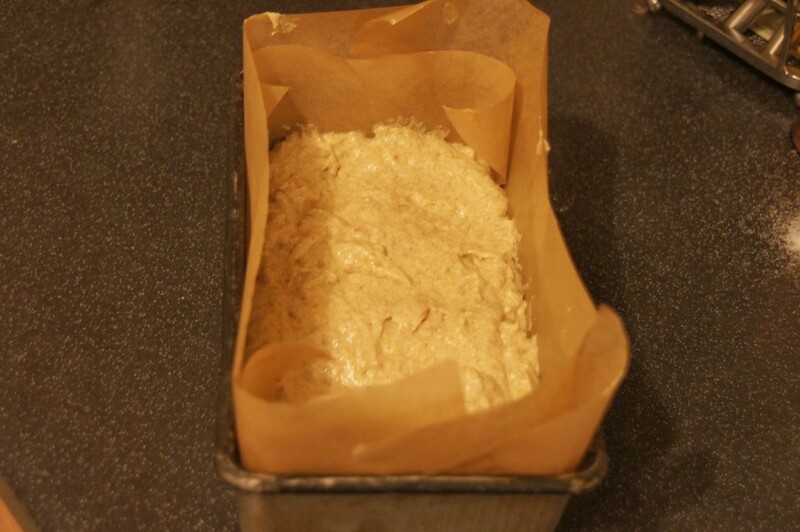 Line a 9 x 5 in loaf tin with greaseproof paper. 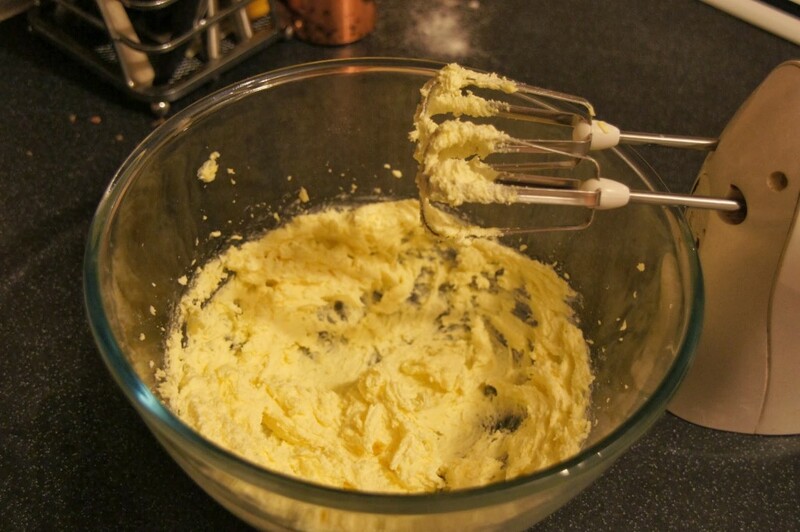 2) With an electric mixer, cream the butter and sugar together until light and fluffy. 3) Add the eggs, one at a time, beating well after each addition. 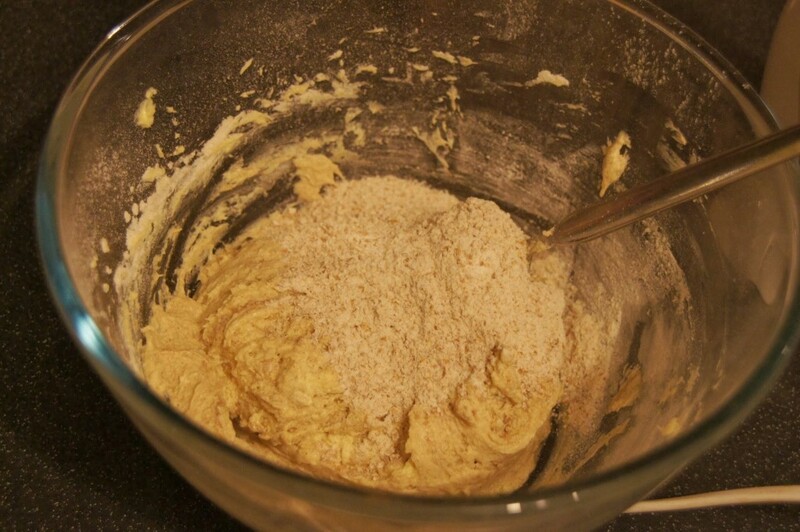 4) Sift the plain flour, bicarbonate of soda, salt and cinnamon over the butter mixture and stir to blend. 5) Stir in the wholemeal flour. 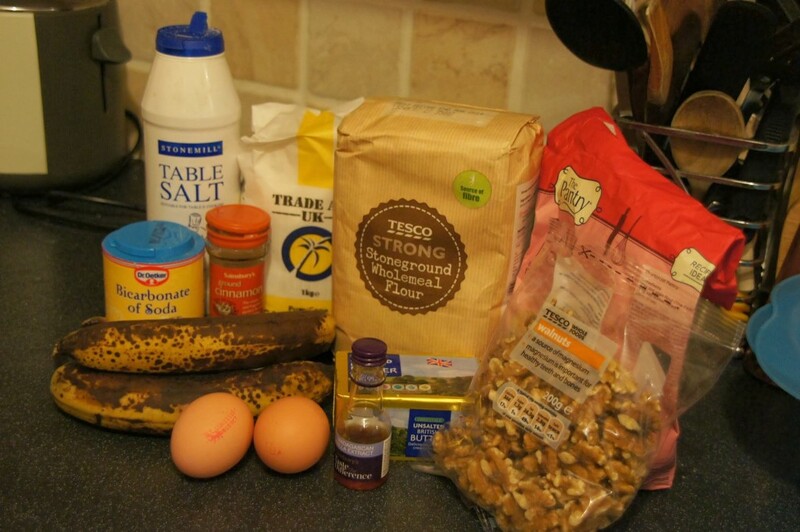 6) With a fork, mash the banana to a purée, then stir into the mixture. 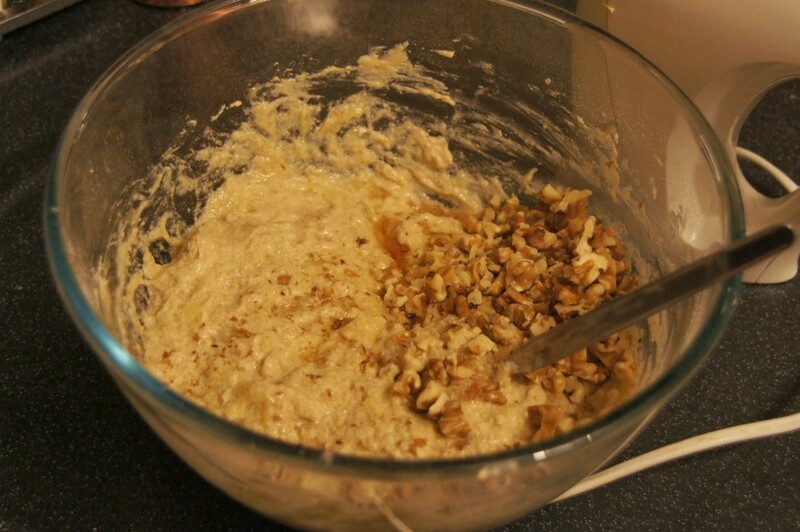 Stir in the vanilla and nuts. 7) Pour the mixture into the prepared tin and spread level. 8) Bake until a skewer inserted in the centre comes out clean (50-60 minutes). 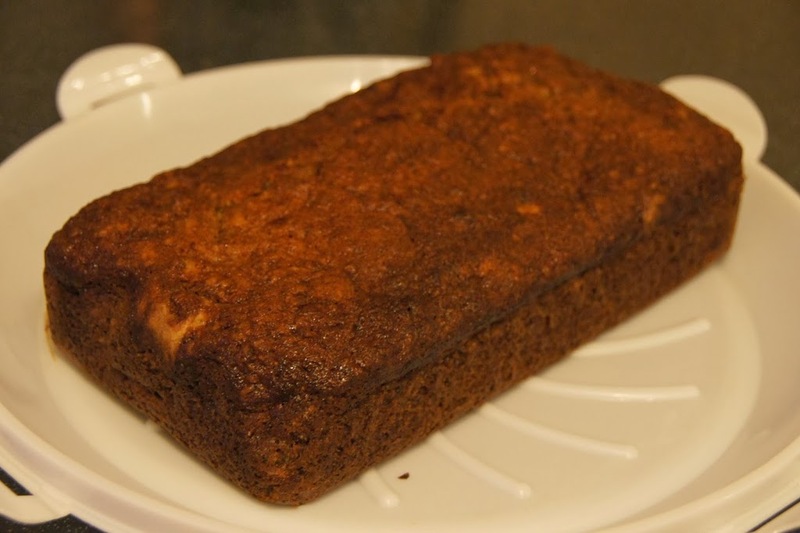 Let the cake stand for 10 minutes before transferring to a rack.